A comfortable, stylish dining chair that is available in numerous stunning colors, the Rosemont Dining Chair from Zuo Modern remains a proven option. This top-notch dining chair boasts a plush leatherette seat and back and offers a slight reclining motion, ensuring you can dine comfortably at all times. Also, the chair's unique courtesy handle on the back makes it easy to move the chair as needed. Choose a deluxe chair that is built to last and will serve you well day after day with the Rosemont Dining Chair. Offered in numerous deluxe colors. 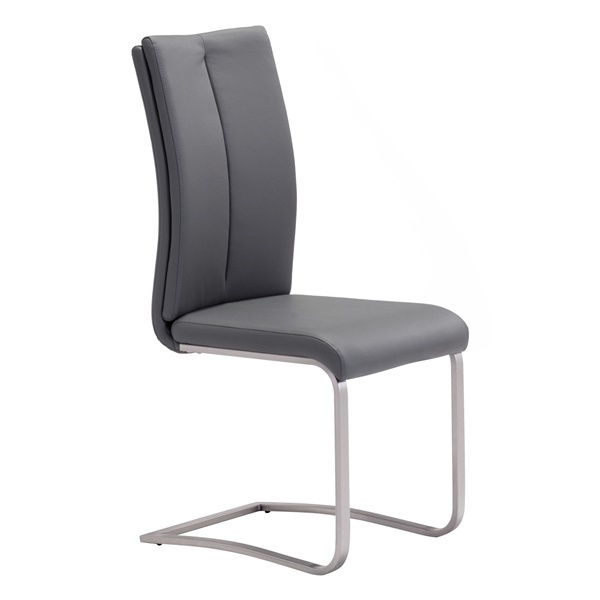 Offers a slight reclining motion, ensuring you can dine comfortably at all times. Unique courtesy handle on the back makes it easy to move the chair as needed. Plush leatherette seat and back guarantee you can relax while you dine.